Search for all "TXNDC5 / TLP46"
Mouse anti Human, Monkey TXNDC5 / TLP46 OTI1E2. 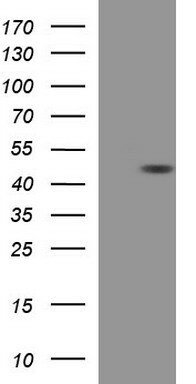 Full length human recombinant protein of human TXNDC5(NP_071368) produced in HEK293T cell. 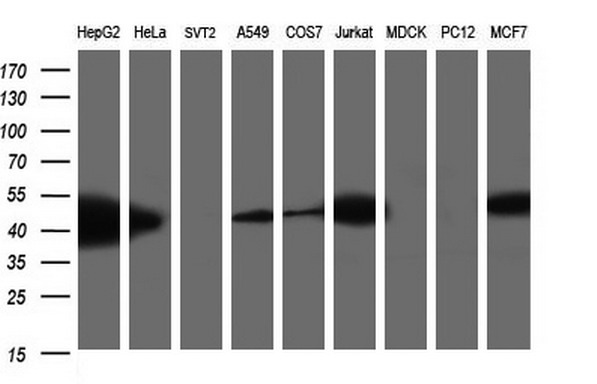 This gene encodes a protein-disulfide isomerase. 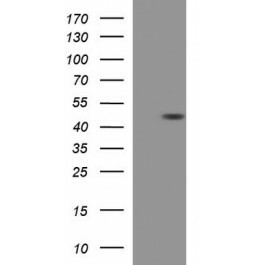 Its expression is induced by hypoxia and its role may be to protect hypoxic cells from apoptosis. Altertive splicing results in multiple transcript variants. Read-through transcription also exists between this gene and the neighboring upstream MUTED (muted homolog) gene. [provided by RefSeq, Dec 2010].